At the 2018 Gartner Data & Analytics summit UK, Douglas Silverstone, Head of Data at Thames Valley Housing (TVH), presented on how TVH utilizes Intelligent Data Management. Included with this presentation overview is a link to download the slides and watch the entire presentation via the button below. Thames Valley Housing faced a challenge finding a home for data stranded across systems, spreadsheets, pdf files, scraps of paper and in people’s heads. In their presentation at Gartner Data & Analytics Summit UK, attendees learned how they constructed an intuitive data governance and operational master data framework -- in weeks, with a small staff -- that gives everyone in the business and the citizens they serve access to information that makes their lives easier. 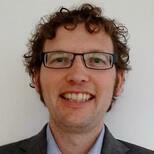 Despite clear ambitions, becoming a data-driven organisation gets clouded by the reality of the issues. Learn more how Thames Valley Housing took an approach of bringing ALL the data into one application and shared it with everyone to make them “data champions.” TVH constructed a data governance and MDM framework built on xDM from Semarchy. TVHA is a non-profit group that builds, owns, lets and manages housing in the Thames Valley and surrounding suburbs of London, whose purpose is to offer affordable housing and give the best possible service to their citizens. Douglas is responsible for all things Data from Governance, Information Risk management, Quality, Management, through to Data Protection, GDPR and information security at Thames Valley Housing. 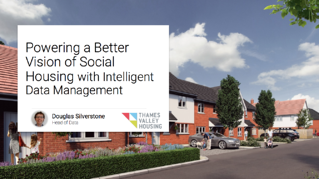 Read the story about how Thames Valley Housing used data management to keep properties safe, residents healthy, comply with government regulations and to answer questions like when and where to build new properties and how to keep planning and innovating for the future.